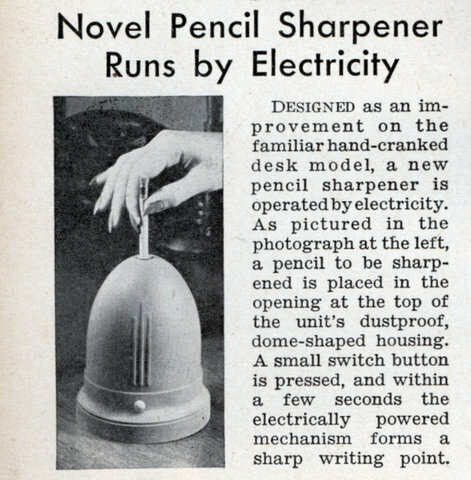 Designed as an improvement on the familiar hand-cranked desk model, a new pencil sharpener is operated by electricity. 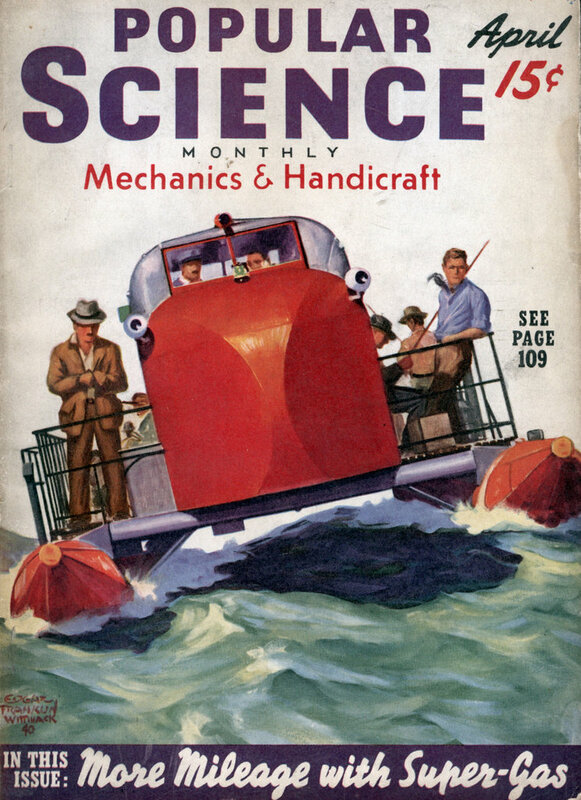 As pictured in the photograph at the left, a pencil to be sharpened is placed in the opening at the top of the unit’s dustproof, dome-shaped housing. A small switch button is pressed, and within a few seconds the electrically powered mechanism forms a sharp writing point.